Best used Audi A5 Review - 2017-present | What Car? 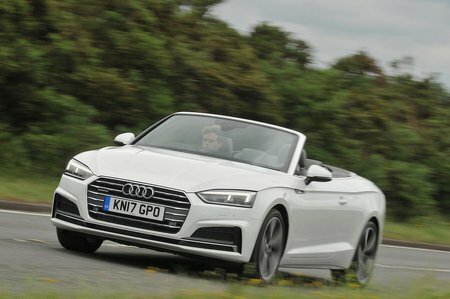 What alternatives should I consider to a used Audi A5 sports? The BMW 4 Series Convertible is good to drive, has an excellent infotainment system and is well equipped. Countered against that, the manual gearbox isn’t the slickest and some of the smaller diesels are a bit gruff. The Mercedes-Benz C-Class Cabriolet is comfortable, classy and relatively economical. It’s well made, solid and sturdy, but still retains a sporting touch. The interior is stylish, too, and although it’s not the sharpest car to drive it’s a worthy competitor to the Audi.